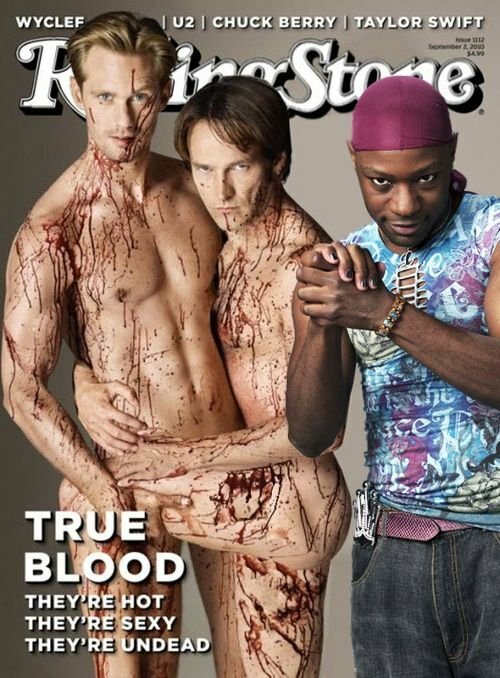 Rolling Stone Magazine. . Wallpaper and background images in the Tunay na Dugo club tagged: true blood sookie stackhouse eric northman bill compton lafayette reynolds. This Tunay na Dugo fan art might contain malaking piraso.